Do I need a Mississippi contractor license? 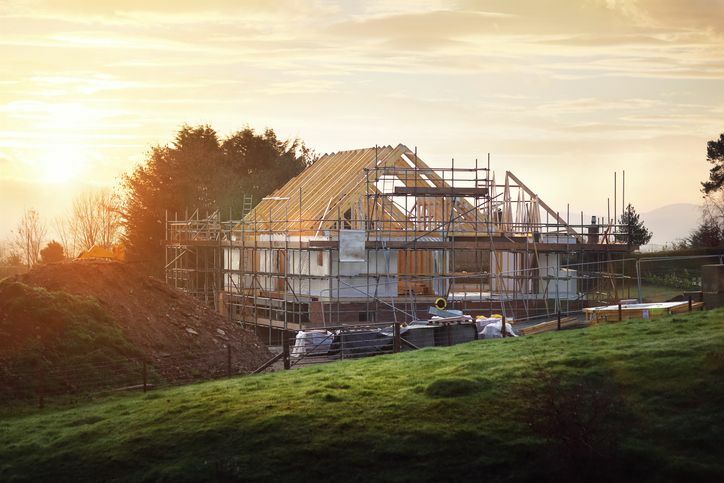 A license is required for any new residential construction over $50,000 that is three stories or less. Commercial work less than 7500 sq. feet is also allowed under this license. How do I get a Mississippi contractor license? First, you will need to complete an application. Return the completed application and the Board of Contractors will forward a candidate information bulletin to you containing testing information. The bulletin will explain how to schedule an exam and which books are allowed in the exam. Submit your application and exam information to the Board for review and approval. It usually takes about a week to 10 days for a license to be issued. How do I maintain my Mississippi contractor license? You must complete 2-hours of continuing education annually to maintain your license. OBTAIN OR MAINTAIN YOUR LICENSE TODAY! 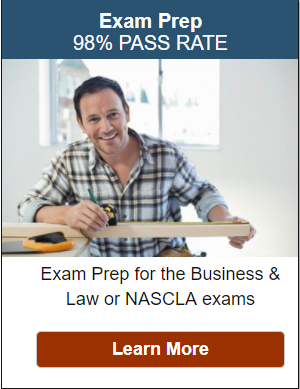 Builders License Training Institute provides the exam prep for contractors, as well as, Mississippi-approved continuing education courses when your license is up for renewal. Our classes are the fastest and easiest method for completing your education without even leaving your home. You have immediate access to the online course and you can come and go as you please. The course will not let you fail and you can print your certificate of completion as soon as you finish. 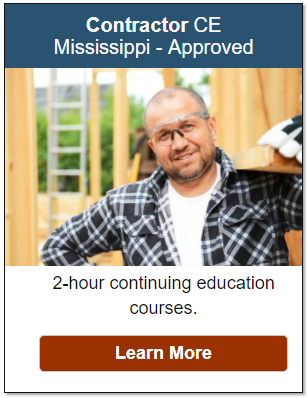 Use Coupon Code BL10 to Save 10% on your Mississippi Contractor continuing education! This entry was posted in All Industries and tagged Mississippi Contractor.